On the brink of Civil War, King Henry IV (John Gielgud) attempts to consolidate his reign while fretting with unease over his sons seeming neglect of his royal duties. 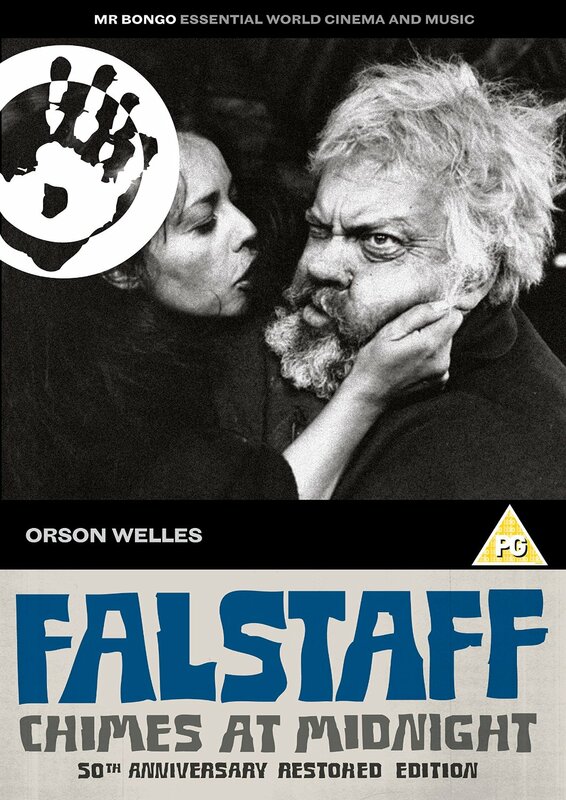 Hal (Keith Baxter), the young Prince, openly consorts with Sir John Falstaff (Orson Welles) and his company of Dianas foresters, Gentlemen of the shade, Minions of the moon. Hals friendship with the fat knight substitutes for his estrangement from his father. Both Falstaff and the King are old and tired; both rely on Hal for comfort in their final years, while the young Prince, the future Henry V, nurtures his own ambitions. Orson Welles considered Chimes at Midnight his personal favorite of all his films. Perhaps the most radical and groundbreaking of all Shakespeare adaptations, the film condenses the Bards Henriad cycle into a single focused narrative. Its international cast comprises of Jeanne Moreau, Fernando Rey, Margaret Rutherford, and Ralph Richardson as the narrator, in addition to Welles and Gielgud. The films harrowing war scenes have proven especially influential, cited in Kenneth Branaghs Henry V as well as Mel Gibsons Braveheart. On the brink of Civil War, King Henry IV (John Gielgud) attempts to consolidate his reign while fretting with unease over his sons seeming neglect of his royal duties. Hal (Keith Baxter), the young Prince, openly consorts with Sir John Falstaff (Orson Welles) and his company of Dianas foresters, Gentlemen of the shade, Minions of the moon. Hals friendship with the fat knight substitutes for his estrangement from his father. Both Falstaff and the King are old and tired; both rely on Hal for comfort in their final years, while the young Prince, the future Henry V, nurtures his own ambitions. Orson Welles considered Chimes at Midnight his personal favorite of all his films. Perhaps the most radical and groundbreaking of all Shakespeare adaptations, the film condenses the Bards Henriad cycle into a single focused narrative. Its international cast comprises of Jeanne Moreau, Fernando Rey, Margaret Rutherford, and Ralph Richardson as the narrator, in addition to Welles and Gielgud. The films harrowing war scenes have proven especially influential, cited in Kenneth Branaghs Henry V as well as Mel Gibsons Braveheart.